This is how I’ve been spending most of my evenings lately. 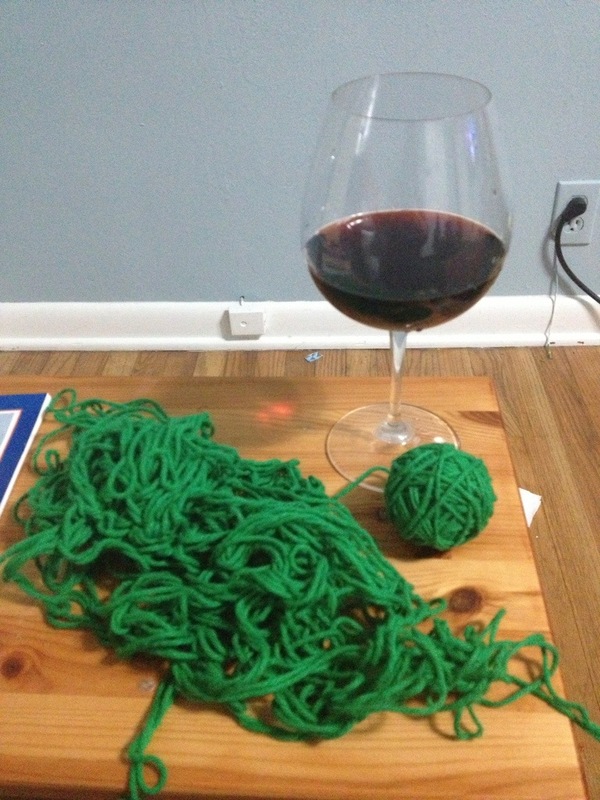 Why do we have so much tangly yarn in my house? Why do I feel the uncontrollable urge to untangle it? These and many questions present themselves, and the answer is, evidently, WINE.